Message below is intended for adults ages 21+ and is intended to be enjoyed responsibly and in moderation. 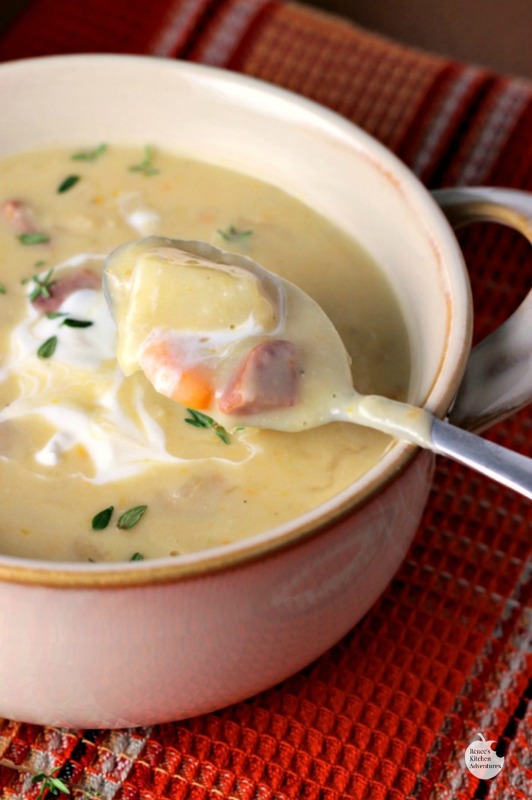 Creamy Potato, White Cheddar, and Kielbasa Soup is a little taste of Oktoberfest you can have anytime of the year! 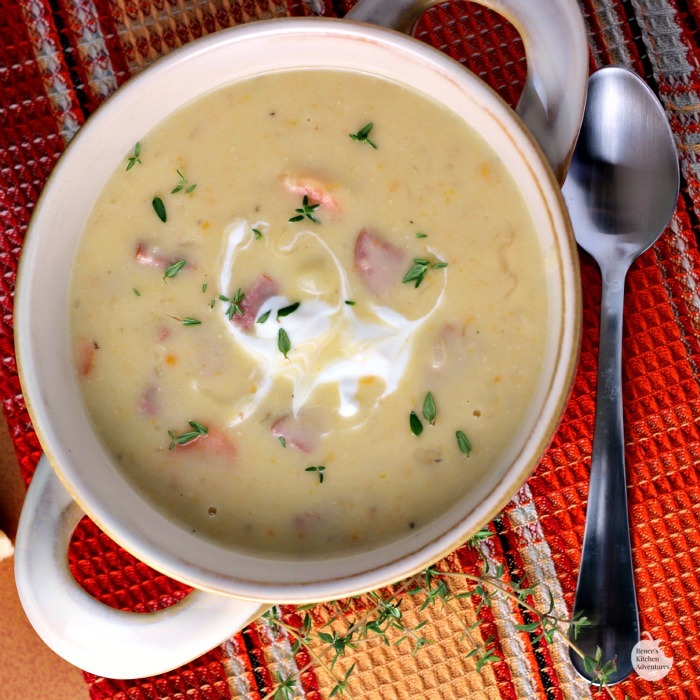 The addition of Hillshire Farm® Polska Kielbasa takes a simple potato cheddar soup to a whole new taste level! But why enjoy those flavors only once a year? I made this soup last week, because I was thinking about all those great Old World Oktoberfest flavors I enjoyed at the festival last month. Adding the Polska Kielbasa really elevates this soup in the flavor department and makes it a hearty choice for the colder weather months. Hillshire Farm® Rope Sausage is a regular item on my shopping trips. We love them because they are full of the flavors that we both grew up with. I've used the Hillshire Farm® Rope Sausage in all sorts of recipes through the years. They add so much flavor to recipes, but they are also a convenient choice for a quick dinner making them the perfect sausage to celebrate Oktoberfest and beyond! This soup is easy to make and get on your table even on a weeknight. If you don't own an immersion blender (but why wouldn't you? They are awesome!) you can blend half of it up in a blender or go old school and use a potato masher. Garnished with a little dollop of sour cream and some fresh thyme, it not only tastes great but looks pretty too! 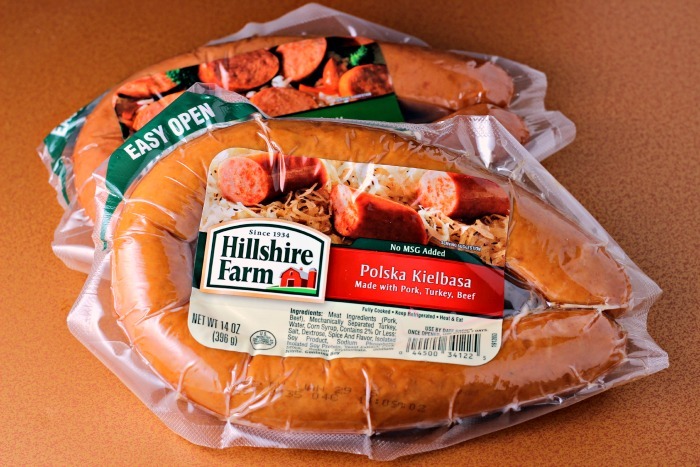 What will you make with Hillshire Farm® Polska Kielbasa? A hearty and creamy potato soup with white cheddar cheese and Kielbasa for a taste of the Old World! In large cast iron dutch oven or stock pot, melt butter over med heat. Add in carrots, celery, and onion. Saute until veggies begin to soften. Add in the bay leaf and thyme. Add in the potatoes and chicken broth. Bring to a boil and then reduce to simmer, with pot partially covered. Cook until potatoes are tender, but not falling apart. (this time will vary with the size of your potatoes) Remove bay leaf. In small bowl, whisk together half and half with the flour and pour into soup. Cook for another 5 -10 minutes, stirring occasionally. With an immersion blender, blend up the soup so about half is blended creamy, leaving a about half of the potatoes and veggies unblended. Stir in cheese and diced Hillshire Farm® Polska Kielbasa. Taste for salt and pepper, and add as desired. Garnish with sour cream and fresh thyme, if desired. 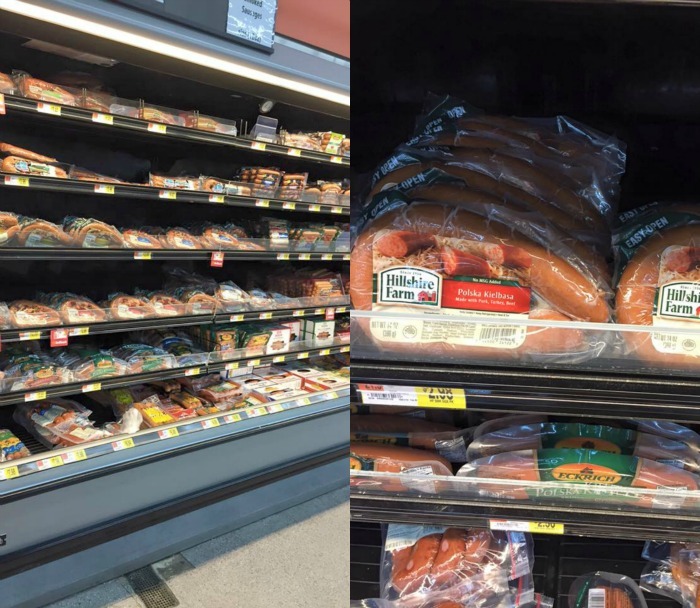 I find Hillshire Farm® Rope Sausages at Walmart and you can too! I'm totally drooling over this soup! Such a creative way to use the kielbasa! Looks so creamy! And warming! Yummy! I love making potato soup but I am loving it even more that you added kielbasa in this! It really makes it a little more hearty and flavorful! I love all the german flavors in this soup. We went to Germany when I was 9 yrs old and I loved everything. I love kielbasa. I'll have to make this. I had you this month and it was fun! Thanks for dropping by Jeanie! Our weather just dropped and I'm craving the warmth of soups! This is a great dish to celebrate Octoberfest with! This sounds DELICIOUS Renee! 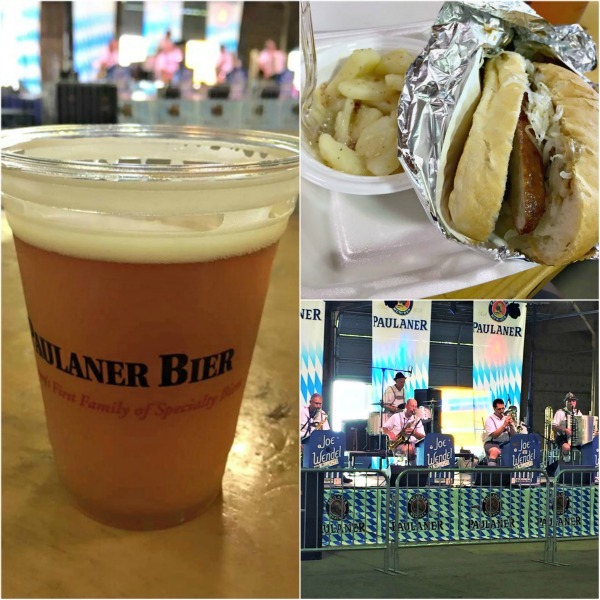 I love Hillshire Farms kielbasa - and Oktoberfest - this recipe must be amazing! I make my own sauasage and just happened to be smoking German sausage when i stumbled apron this recipe. Just made soup for our Souper Bowl luncheon at our church. Turned out awesome. The smokey flavor from the sausage is what makes this so flavorful. Then you add in the cheese. Say no more. Thanks for your review Jim! I'm so glad it turned out well for you! I love the idea of a Souper Bowl Luncheon! How fun!